Nowadays, one of the biggest problems faced by both men and women is hair loss. Losing hair is one of the complex health conditions that lead to the life-altering changes. Hair loss impact can be measured so that it requires medical attention while the symptoms appear. Even it can change a healthy lifestyle and bring anyone getting into the shell. We are one of the best hospitals offering services such as Hair transplantation treatment in Hyderabad, hair loss therapy, hair extensions, and much more. Through our efficient and cost-effective Hair transplantation in Hyderabad, we become the Best hospitals in Hyderabad for Hair transplantation. Our hospital has highly qualified and experienced experts in hair transplantation and restoration. We are experts in all types of hair transplantation treatment but we are well known as the Best Fue Hair transplant clinic in Hyderabad. We incorporate the latest technology to do Hair transplantation treatment in Hyderabad. Most importantly, we afford competitive Cost of Hair transplantation in Hyderabad than others. Hair transplantation surgery is one of the boons for the people who have affected by the severe hair loss due to several reasons. 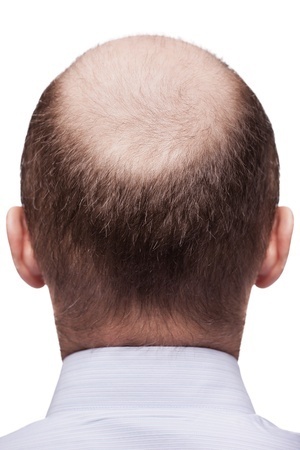 The main aim of this surgery is to offer a better solution for the bald people. Because of the continuous development in this field, the hair transplant surgery in India provides the latest and advanced techniques to treat hair loss problems. These techniques are highly effective and beneficial than the traditional methods followed in India. We are one of the best hospitals who provide the finest Hair transplant surgery in Hyderabad. Our hospital incorporates many experienced and well-qualified experts to perform hair transplantation surgery. Therefore, we obtain incredible success rate for its clients. Before exploring into further details about Hair transplantation treatment in Hyderabad, we look into the basic aspects and symptoms of hair loss. Alopecia or Hair loss is a scalp disorder that shrinks down the hair follicles and therefore hair strands fall out. It may happen for many reasons such as hormones, genres, stress, pollution, scalp injuries, and much more. They restrict the oxygen and blood flow to the hair follicles by developing blockages and deny the hair follicles without any nutrition to survive further. Did you know that usual hair fallout per is about 50strands? However, people who suffer from high hair loss may experience more than 200hair strand per day. When this issue goes even worse, the hair growth phase will become slow and reduce healthy hair growth in order to cover up the hair loss. The affected people can lose the hair from the middle parts and frontal of the scalp as these reigns are highly subject to baldness. Everyday hair sheds off is common but the growth rate and amount of hair loss only determines whether it is serious or not. Here are the common symptoms of the severe hair loss. Until the introduction of hair transplantation method, there was no effective method for treating hair loss. This method relies on the sharing of the hair follicles from the donor regions in which some hair is present over the bald regions. This makes the hair regrow in these regions. Moreover, the treatment gives a tremendous success but choose the right place to have Hair transplantation in Hyderabad. In fact, hair transplantation is still the only remedy for the hair loss. At present, plenty of different types of hair transplantation surgery are available but the most common two company types of hair transplants are FUT and FUE hair transplants. If you undergo this method, a tissue strip with the hair follicle taken away from the scalp back. After that, follicles are separated carefully and these dissected hair follicles are transplanted at the bald regions. In a few months, new hair grows from these hair follicles. The meaning of this method is the extraction of the individual follicular units. From the donor regions, the hair follicles carefully extracted and then planted at the bald area. For this purpose, hair follicles with multiple hair strands are highly preferred. As we are the Best hospitals in Hyderabad for Hair transplantation, many people opt for the hair transplantation surgery with us because of the following benefits.